Women love to accessorize. They have always been inclined towards fashion. Accessories are said to be a girl’s best friend. Her look isn’t said to be complete, until and unless she accessorize it with her favorite watch. There are so many online shopping sites where you could buy women’s watches online. There is no limit of price when it comes to watches. But if you are budget conscious and still want to own a good timepiece for yourself, then you are at the right place. We would try and educate you a about the various online shopping sites where you could buy affordable yet stylish women watches in India. So let’s begin! Jabong is a well known site when it comes to apparels. 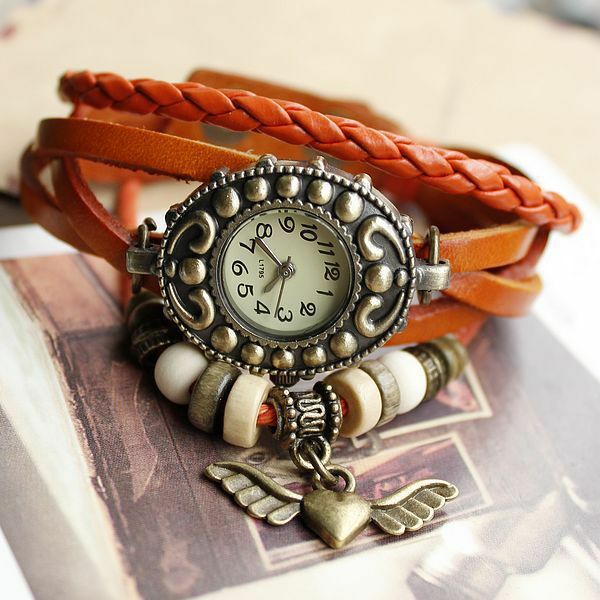 But it also stock innumerable accessories for women, watches being one of them. Some of the famous brands of women’s watches on Jabong are Casio, Fossil, Tommy Hilfiger, Titan, Fastrack and more. You could even shop your favorite make up, handbags and even sunglasses from Jabong. Tata CLiQ is a recent name when it comes to online shopping platforms, but in a short tenure of time it has managed to stand shoulder to shoulder with the big giants. You could get your favorite brands of watches easily at Tata CLIiQ. Some of the well-known brands with Tata CLiQ are Titan, Guess, Fossil, Kenneth Cole, Maxima, Fastrack to name just a few. It also brings to you, your favorite luxury brands through its dedicated luxury site. When it comes to watches, you could easily trust Amazon. It offers you countless number of women watches based on your choice of budget. Some of the famous brands of women watches on Amazon are Armani, Burgi, Frida, Killer and more. Apart from watches, you almost get everything at Amazon which makes it one of the most favorite sites among Indians. Flipkart too is a big giant when it comes to women watches. You could get a watch as per your budget and style. It has over 1800 brands of women watches. Some of them are Fastrack, SF, Casio, Titan, Sonata etc. Apart from this, it also offers you, your favorite appliances, apparels, books and more. Next in line is Snapdeal which again offers you, your favorite brands of watches at genuine prices. Some of the famous brands are Titan, Fastrack, Fossil, Guess, and Timex to name a few. You could also shop your favorite range of electronics at Snapdeal. Myntra just like Jabong, is well-known for its classic range of women apparels. It also stock some of the best brands of women watches like Titan, Daniel Klein, Casio, Michael Kors, Skagen and more. You could also shop watches for boys, girls and even kids on the above mentioned shopping platforms at genuine prices. You could easily rely on these sites when it comes to quality products as customer satisfaction is their ultimate motive.